Introduction to Statistics for Forensic Scientists is an essential introduction to the subject, gently guiding the reader through the key statistical techniques used to evaluate various types of forensic evidence. 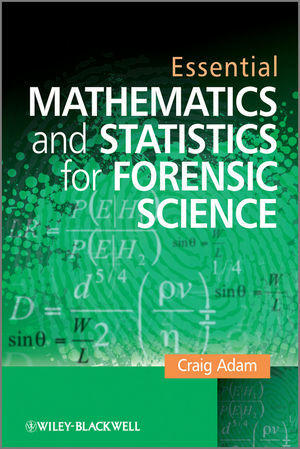 Assuming only a modest mathematical background, the book uses real-life examples from the forensic science literature and forensic case-work to illustrate relevant statistical concepts and methods. 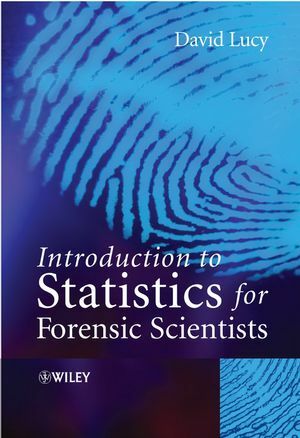 Opening with a brief overview of the history and use of statistics within forensic science, the text then goes on to introduce statistical techniques commonly used to examine data obtained during laboratory experiments. There is a strong emphasis on the evaluation of scientific observation as evidence and modern Bayesian approaches to interpreting forensic data for the courts. The analysis of key forms of evidence are discussed throughout with a particular focus on DNA, fibres and glass. An invaluable introduction to the statistical interpretation of forensic evidence; this book will be invaluable for all undergraduates taking courses in forensic science. 1. A short history of the statistics in the law. 1.2 Some recent uses of statistics in forensic science. 2. Data types, location and dispersion. One throw of a six-sided die. A single throw with more than one outcome of interest. 4.2 Standard deviation and standard error of the mean. 4.3 Percentage points of the normal distribution. 4.4 The t-distribution and the standard error of the mean. 4.5 t-testing between two independent samples. 4.6 Testing between paired observations. 4.7 Confidence, significance and p-values. 5. Measures of nominal and ordinal association. 5.1 Association between discrete variables. 5.2 X2 test for 2 x 2 table. 5.4 X2 tests for greater than 2 x 2 tables. 5.5 02 and Cramers V2. 5.6 The limitations of X2 testing. 6.1 Significance tests for correlation coefficients. 6.2 Correlation coefficients for non-linear data. 6.3 The coefficient of determination. 6.5 Partial correlation controlling for two or more covariates. 7.2 Calculation of a linear regression model. 7.3 Testing 'goodness of fit'. 7.4 Testing coefficients a and b. Calculation of a confidence interval for a point. 8.1 Verbal statements of evidential value. 8.3 The value of evidence. 8.4 Significance testing and evidence evaluation. 9. Conditional probability and Bayes' theorem. 9.3 The value of evidence. 10. Relevance and the formulation of propositions. 10.3 Likelihood ratios and relevance. 10.4 The logic of relevance. 10.5 The formulation of propositions. 10.6 What kind of propositions can we not evaluate?. 11. Evaluation of evidence in practice. 11.1 Which database to use. 11.2 Verbal equivalence of the likelihood ratio. 11.3 Some common criticisms of statistical approaches. 12.5 Height description from eyewitness. 13.1 Statistically based errors of interpretation. 13.2 Methodological errors of interpretation. 14.2 Simple case genotypic frequencies. 14.4 Simple case allelic frequencies. 15.1 Paternity - mother and father unrelated. 15.2 Database searches and value of evidence. 16. Sampling and sample size estimation. 16.1 Estimation of a mean. 16.2 Sample sizes for t-tests. 16.3 How many drugs to sample. 17.1 Graphical models and bayesian networks. Appendix A: Worked solutions to questions. Appendix B: Percentage points of the standard normal distribution. Appendix C: Percentage points of t-distributions. Appendix D: Percentage points of X2-distributions. Appendix E: Percentage points of beta-beta distributions. Appendix F: Percentage points of f-distributions. Appendix G: Calculating partial correlations using excel software. Appendix H: Further algebra using the "third law". An accessible introduction to key statistical techniques used in the evaluation of forensic evidence. Numerous examples taken from forensic science to put the subject firmly in context. Includes material on the evaluation of DNA evidence, fibres, drugs and the latest statistical techniques used in the field.